Premier League fights back with plans to bring 100 prosecutions. The ongoing row between the football authorities and pubs that show live games has heated up again over the past few days, with news that the Premier League is planning to bring 100 prosecutions this season. It’s all part of the seemingly never-ending row that involves two sides that regularly state their positions with confidence, but which remains a legally grey area and one that seems no closer to being resolved. 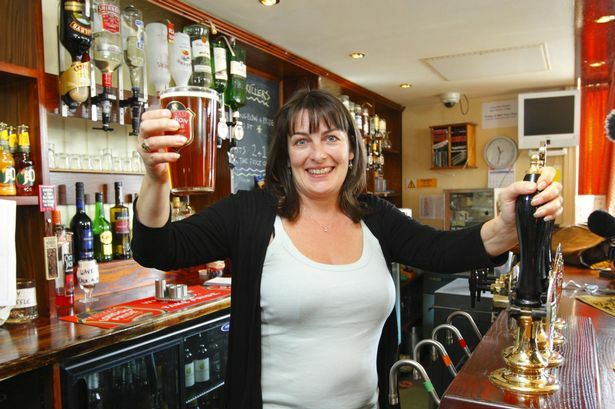 It’s now three years since Karen Murphy, a pub landlady from Portsmouth, won a court case against the Premier League. The landmark ruling meant it was legal for pubs and clubs to buy a subscription from anywhere in the European Union to show live football matches. So if the Premier League decided to sell rights to a broadcaster in, say, Portugal and people elsewhere in the EU legally bought a subscription from that broadcaster, they could show the games – thanks to the freedom of trade that is one of the mainstays of the EU. The Premier League has refused to take this lying down, unsurprisingly. In the UK, Sky (and now BT Sport as well) are investing billions of pounds to secure the rights to show the Premier League. A free-for-all with foreign broadcasters allowed to sell their rights to UK pubs on the cheap will clearly have massive implications on their business models, and will ultimately impact on the money the UK broadcasters are prepared to pay the Premier League. The next battle looks set to be south Wales. With both Swansea and Cardiff now in the top flight, there has been an explosion of interest in the Premier League in that part of the world, and pubs that show all their local teams’ games are coming under the scrutiny of the Premier League. Dan Johnson, the league’s director of communications, said UK broadcasters invested “huge amounts of money in the Premier League and that then is, in turn, invested by the clubs in new stadia, developing players, acquiring players, the whole range of things that make Premier League football so popular”. But there remains something curious about the league’s carrot and stick approach to this whole issue – alternating between threats of court action and promises to work together. It’s a policy that has apparently failed to work so far. Both the Premier League and the broadcasters have deep pockets. The football industry is not short of a bob or two, and the cost of mounting a prosecution cannot be a hindrance to them. So if they are so sure of their position, why are they cherry-picking a few well-publicised cases rather than coming down on the hundreds (if not thousands) of pubs that are apparently breaking the law? An obvious possible reason is that they would rather mount a few high-profile cases to shock the others into compliance. But there are a few problems with that logic. First, the case of Ms Murphy, in Portsmouth in 2011, showed that this is a high-risk strategy. If the Premier League loses a court case, it simply emboldens other pubs to continue to show foreign broadcasts. Second, this battle has been going on for years now. The cherry-picking of cases that the league pursues has had a negligible effect on pubs that go against its wishes. Third, the fact that pubs are openly advertising their live coverage and boasting about their ability to show foreign-broadcast live games does not give the impression of an industry that is on the retreat. We are not talking about selling bootleg booze in some backstreet speak-easy here – we are talking about pubs that put up A-boards and posters and – in effect – shout “Come and get me” from the rooftops. The Premier League has a new weapon now, though – that of copyright. When a pub shows top-flight matches, it is breaking copyright law if the league’s logo is shown in on-screen graphics, or if the league’s anthem is heard before kick-off or at half-time. Barrister Tom Richards told the BBC that is was unlikely a match could be shown without breaching the copyright. “The Premier League owns the copyright in its logo, in its anthem and in other bits of sound recording and artwork which are superimposed on any feed of a Premier League match,” he said. Some pubs now use technology that cuts out logos and theme tunes from the broadcast, in a bid to get round the copyright law. But the Premier League is fighting back, and making it harder to separate its copyright material from the overall broadcast. The aim seems to be to make it impossible for pubs to show games without infringing copyright – and thus making themselves more liable for prosecution. Mr Johnson, at the Premier League, said: “We want to help pubs, we want to help educate licensees, and when we go in and find use of foreign satellite systems we’ll give them the opportunity to get rid of that system. “So if, in the first instance, they say ‘we hear you, we’ll get rid of this system and we’ll get a legitimate one’, they will face no further action, and we don’t want to be going round the country prosecuting pubs and licensees. Any court action promises to be only the next stage in this ongoing argument, however. The European Commission is looking at whether to launch an anti-trust case against the practice of licensing country-by-country. These fact-finding missions can be slow and laborious, and it would be a mistake to expect any conclusions anytime soon. But it does show that the issue is at least on the radar of the competition experts, and that uncertainty might be behind some of the on-off action of the Premier League in England. So regardless of the outcome of any forthcoming court cases against landlords in South Wales or anywhere else, expect this one to run and run.